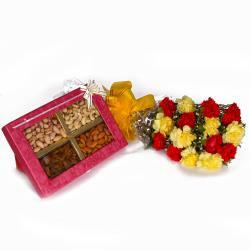 Product Consists: Bouquet of 10 Mix Seasonal Flowers like Roses, Gerberas, Carnations with green fillers and Kaju Katli Sweet Box (Weight : 500 Gms) along with Box of Assorted Dryfruits (Weight : 500 Gms). The pack contains a bunch of gorgeous flowers Roses, Gerberas, Carnations which have been neatly packed in cellophane and come with a matching ribbon bow. These beautiful flowers will soothe the senses of every recipient while the assorted dryfruits represents indulgence like no other. 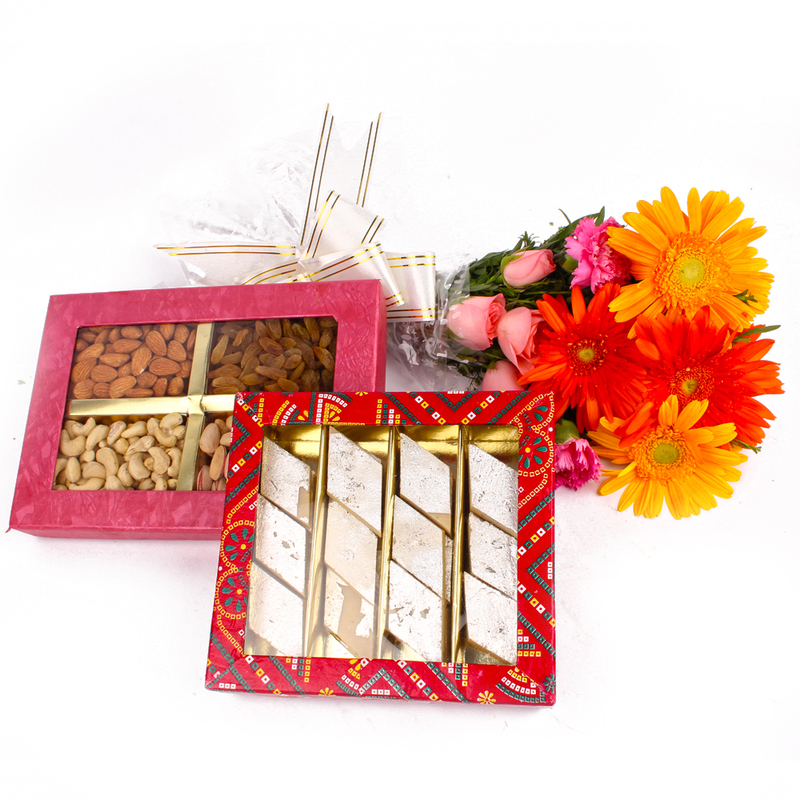 These traits make this gift pack the perfect bet for many an occasion including Womens Day, Diwali, Navratri, Anniversaries and even Birthdays. 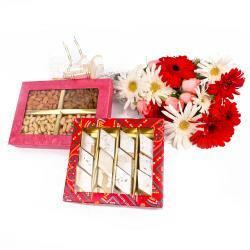 This pack will wow all your loved ones with consummate ease. Along with this, send other Gifts to India through Giftacrossindia.com to be delivered in a safe and speedy mode. 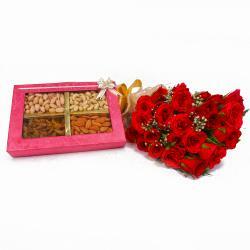 This gift hamper contains : Bouquet of 10 Mix Seasonal Flowers like Roses, Gerberas, Carnations with green fillers and Kaju Katli Sweet Box (Weight : 500 Gms) along with Box of Assorted Dryfruits (Weight : 500 Gms).